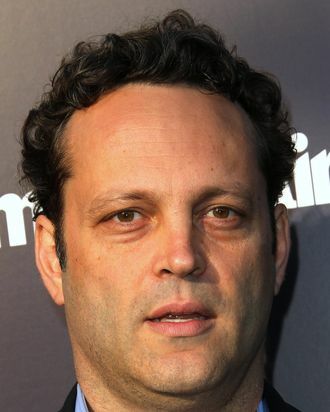 Vince Vaughn is adding another action-thriller, Triple Time, to his more serious-than-usual slate. He’ll play a U.S. marshal escorting a prisoner to Washington, D.C. when their plane explodes and a conspiracy unfolds. The co-star has yet to be cast, but Peter Billingsley will direct. His sole feature credit behind the lens is Vaughn’s Couples Retreat, but he did executive produce Iron Man. What’s the minimum amount of humor he can talk Vaughn down to for a non-comedy project?